One cup or twelve, either way you will get a great brew! For all coffee drinkers and lovers who despise long café lines, there is a new brand of coffee-making machine. The Hamilton Beach 49980C has come to elevate your coffee drinking experience to a new level. This unit is flexible enough to brew a single cup of coffee or 12! It features a programmable clock and dishwasher-safe parts which are BPA-free. 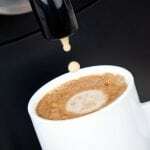 It’s also has programmable individual reservoirs which let you enjoy a cup of hot coffee whenever you need it. The outer casing is made of stainless steel to increase durability while the control panel with an LCD backlit enables you to program the brewing time up to 24 hours beforehand. 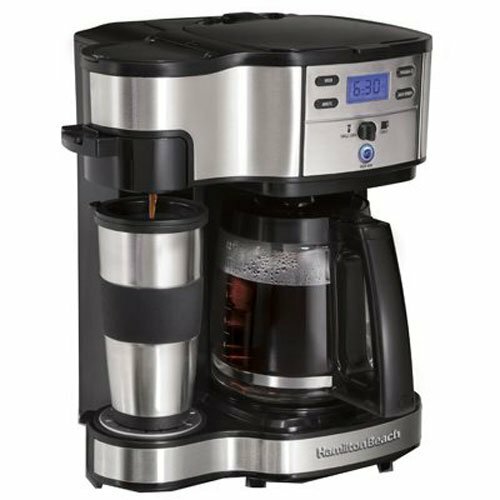 The Hamilton Beach 49980c Coffee maker is 2-way programmable and also comes with a soft pod which eliminates the hassle of having to measure the amount of coffee getting into the machine. This coffee maker weighs 2.2kgs and dimensions of 34.8×29.1×39.2 cm. Compact size – the Hamilton Beach Programmable Coffeemaker has a compact size which makes it ideal for use in small homes and large offices. 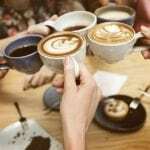 Its 2-way ability converts it both as a domestic coffee maker able to brew a single cup of fine, tasty coffee and also as a commercial unit which can produce 12 cups of bold coffee at the same time. Style and color – the Hamilton Beach Programmable Coffeemaker comes with a mix of style and performance. This is due to its durable stainless steel construction with a mix of black colors which are durable and attractive to your kitchen décor. Brew nature – the Hamilton Beach Programmable Coffee Maker is designed to brew both single and multiple cups of hot coffee. 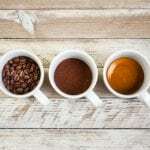 The single cup option brews up to 14 oz of coffee into a large travel mug while the multi-cup option brews a larger quantity of coffee into 12 cups. 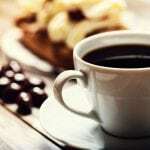 There is a hot plate at your disposal which keeps your coffee hot for hours before it automatically shuts off. Controls – this unit has a credible control system. 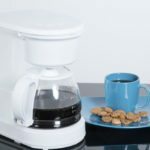 It has a programmable automatic shutoff and a handy pause and serve feature which stops the brewing process to give you a chance to enjoy your first cup of coffee. For those who enjoy a regular or bold coffee, this machine also comes with that feature, although the bold option takes quite a lot longer to brew due to its slower drip option. 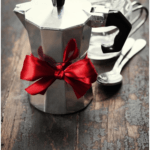 Sleek design – instead of purchasing a drip style coffee maker and a single coffee maker, most customers have opted to buy the Hamilton Beach Programmable Coffeemaker due to its sleek design. 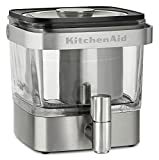 It is a small coffee maker and has dimensions of 13.7×11.4×15.4 inches, making it sleek enough to fit in any kitchen space. 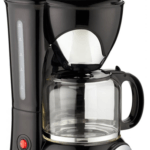 The Hamilton Beach Programmable Coffee Maker has been one of the most preferred coffee making machines on the market. 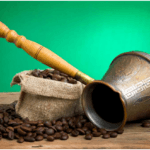 This is due to its ability to make bold coffee, brew quickly and cleanup easily without any hassle. With a 4.6 star rating from 59 verified customers, this is by far the best coffeemaker on the market. Although the Hamilton Beach is among the best coffee makers on the market, there are other brands of this unit available on the market which come with pocket-friendly prices and numerous features which are worth considering. The Oster 12 -Cup Programmable Coffeemaker is one such unit which features a brew-strength selection option which gives coffee lovers full control of the type of coffee they wish to drink. It has a fresh-brew timer which tells you when the last coffee was brewed, a digital clock and a stainless steel finish which complements your internal décor. It has a weight of 1.5kgs and dimensions of 29.2×22.9×36.8 cm. 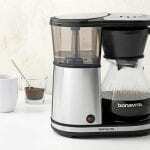 The Hamilton Beach 49970 Personal Cup One Cup Pod Brewer is another coffeemaker which brews a single cup of coffee with only one single step. It has a one-touch start button with an automatic shutoff, a dishwasher-safe basket and uses delicious and price-friendly Melitta Coffee Pods instead of ground coffee. It weighs just 2 pounds and has dimensions of 9×5.4×9.4 inches, making it a lightweight unit. Out of the three coffee machines, the Hamilton Beach 49980C 2-Way Programmable Coffeemaker is the best in this category. With high-end features which are not available in any of the other two brands, this unit plays a double role at the same time. 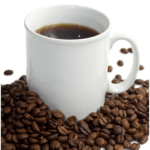 It can be used by small families or large companies to deliver bold and delicious coffee. The Oster 12 -Cup Programmable Coffeemaker is the second alternative to people who don’t wish to spend much on coffee machines. With a strength-selection option, a fresh brew timer and a digital clock, this unit can deliver desirable results each time you press the start option. Last in the category, we have the Hamilton Beach 49970 Personal Cup One Cup Pod Brewer which only brews a single cup of coffee. 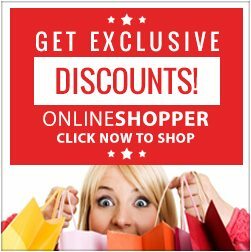 It’s the best option for home use or people living within their budgets, since its price-friendly and easy to maintain.